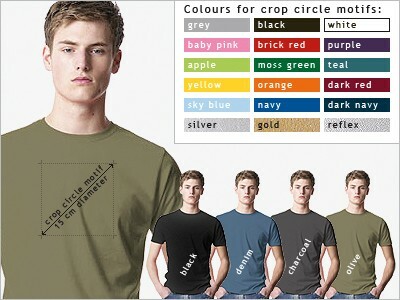 Mens t-shirt with crop circle design. Mens t-shirt with crop circle design. This 100% cotton T-shirt is designed with comfort in mind. The cotton/elastane ribbed neck and heavier fabric base make this style a must-have for all wardrobes. Each shirt is wash-fast up to 30Âº C.